A New York judge has ruled that the public and the judiciary shouldn’t second-guess the police when it comes to secret snooping on the public with intrusive surveillance technologies. A core part of EFF’s mission is questioning the decisions of our law enforcement and intelligence agencies over digital surveillance. We’ve seen too many cases where police have abused databases, hidden the use of invasive technologies, targeted people exercising their First Amendment rights, disparately burdened immigrants and people of color, and captured massive amounts of unnecessary information on innocent people. We’re outraged about New York Judge Shlomo Hager’s recent ruling against the New York Civil Liberties Union in a public records case. The judge upheld the New York Police Department’s decision to withhold records about its purchases of cell-site simulator equipment (colloquially known as Stingrays), including the names of surveillance products and how much they cost taxpayers. The case law is clear … "It is bad law and bad policy to second-guess the predictive judgments made by the government’s intelligence agencies" … Therefore, this Court will defer to Detective Werner, as well as to Inspector Gregory Antonsen’s expertise, that disclosure of the names of the StingRay devices, as well as the prices, would pose a substantial threat and would reveal the nonroutine information to bad actors that would use it to evade detection. We wholeheartedly disagree. Holding police accountable and shining light on the criminal justice system is absolutely good law, good policy, and good for community relations. Questioning authority is one of the most important ways to defend democracy. Up until a few years ago, a lot of law enforcement agencies around the country went to extreme lengths to hide the existence of cell-site simulators. These devices mimic cell towers in order to connect to people’s phones. Police would reject public records requests about this technology, while prosecutors would sometimes drop cases rather than let information come to light. One of the main vendors, Harris Corp., even had agencies sign non-disclosure agreements. Transparency advocates sued and the technology’s capabilities began to surface. Police departments were using the technology to track phones without a warrant. They were sucking up data on thousands of innocent phone owners with each use. They were surveilling protesters. The technology reportedly interferes with cellphone coverage, which disparately impacts people of color because police much more frequently deploy cell-site simulators in their neighborhoods. In California, legislators were so outraged by the secrecy that they passed a law requiring any agency using a cell-site simulator to publish a privacy and usage policy online and hold public meetings before acquiring the technology. California also passed a law requiring a warrant before police can use a cell-site simulator as well as mandating annual public disclosures about these warrants. The argument that transparency is going to put more information in the hands of criminals is a weak diversion. By that logic, nothing law enforcement does should be open to public scrutiny, and we should resign ourselves to an Orwellian America monitored only by secret police. That argument failed to hold water in California. In the years since California legislators mandated greater transparency about acquisition and use of cell-site simulators, there is no evidence that these laws contributed to any crime. In recent years, many other agencies have handed over documents about cell-site simulators with little objection. The judge’s misguided ruling is a reminder that we must seek transparency through all available means. That’s why we support efforts in the New York City Council to pass the Public Oversight of Surveillance Technology (POST) Act. This measure would require NYPD to publish a use policy for each electronic surveillance technologies it has or seeks use to use in the future. We’re also supporting a variety of measures across the country that would require even stronger oversight of spy tech, including a public process before equipment is acquired. Already, Santa Clara County, Davis, and Berkeley in California have passed such ordinances. The time for secrecy over cell-site simulators has passed. The Stingray is out of the bag, and we’re going to keep fighting to make sure it remains in the open. 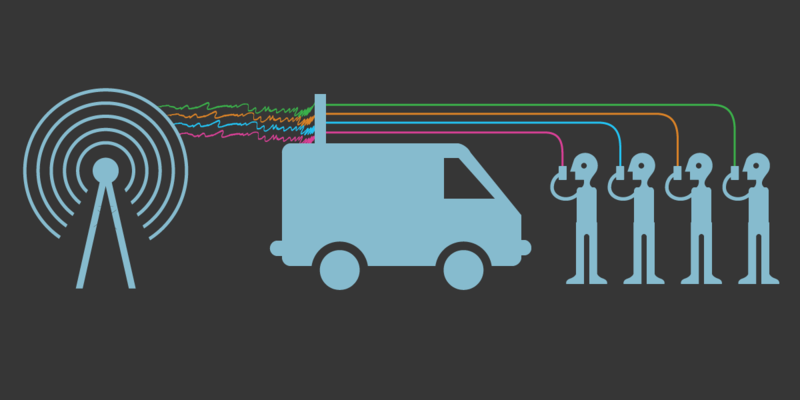 Learn more about cell-site simulators at EFF’s Street-Level Surveillance project.